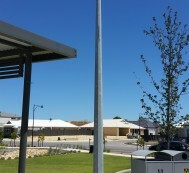 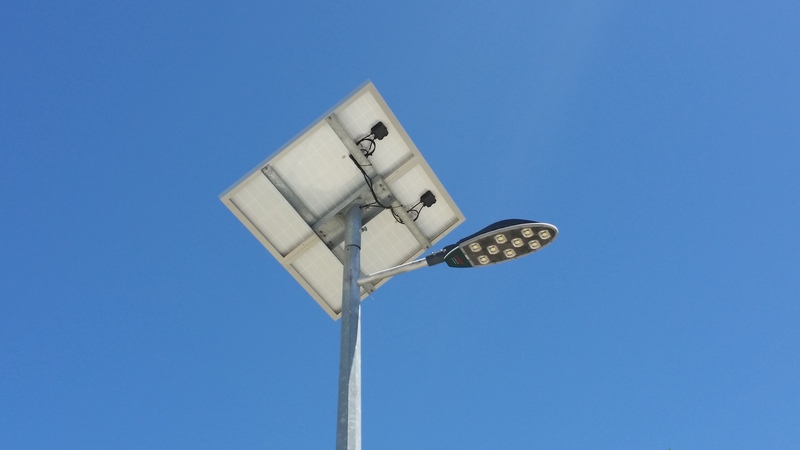 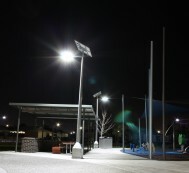 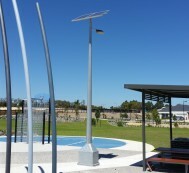 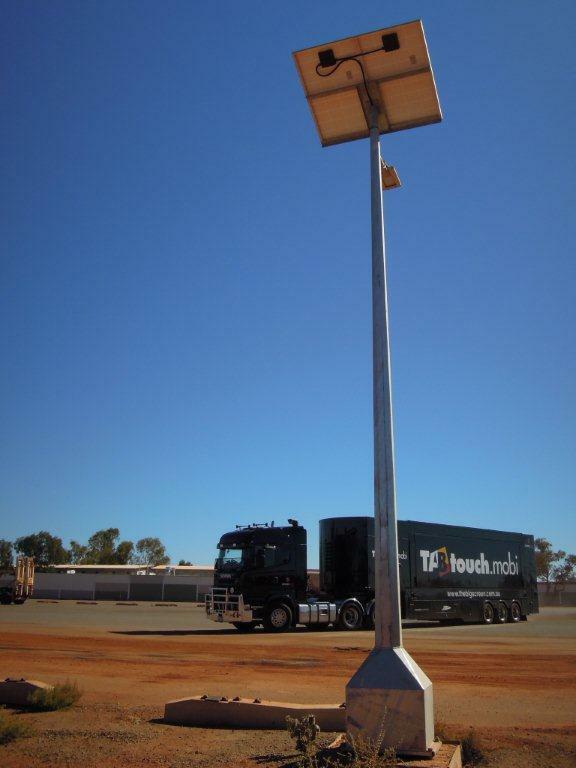 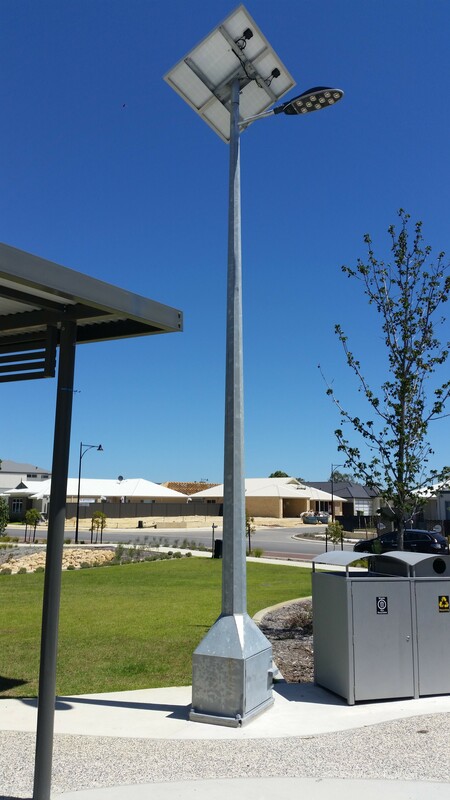 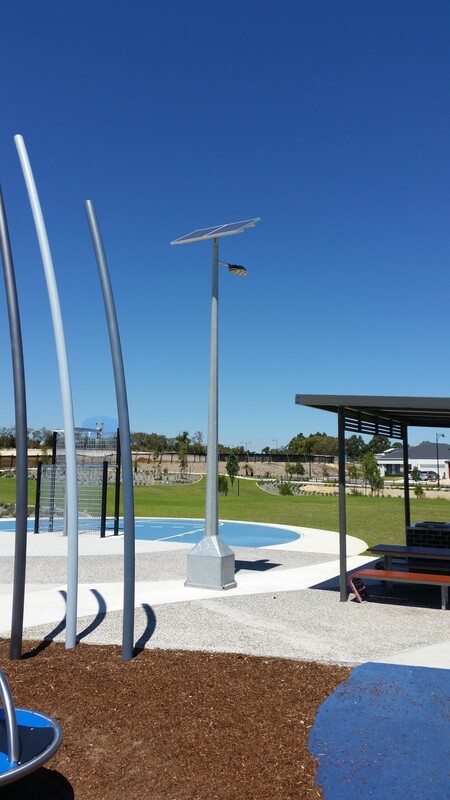 S-Tech design, manufacture and install solar LED Street lights for use in areas that do not have access to mains power or are used as temporary lighting areas. 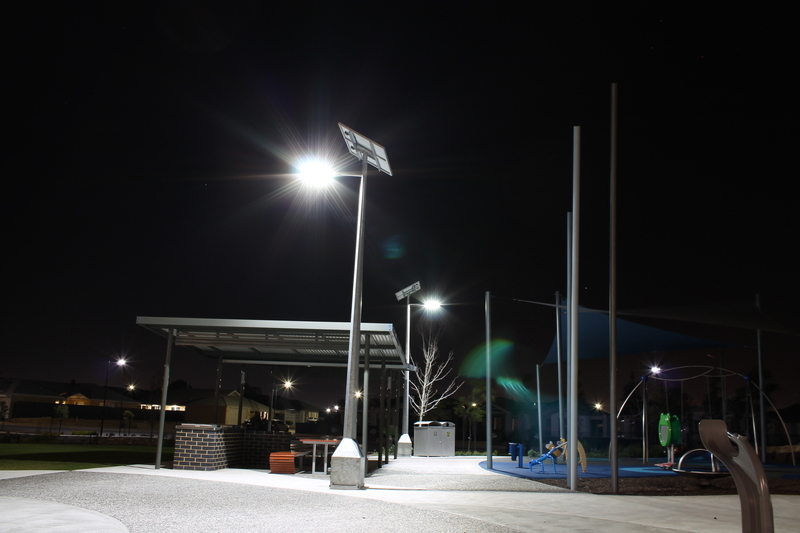 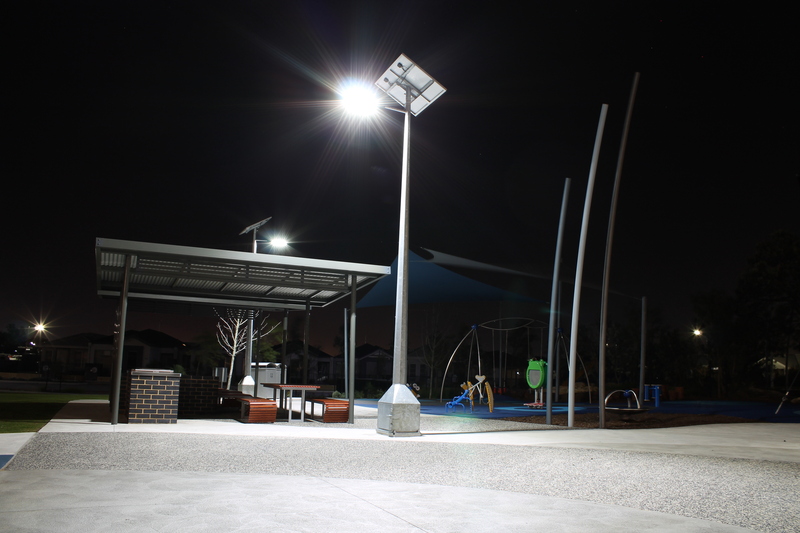 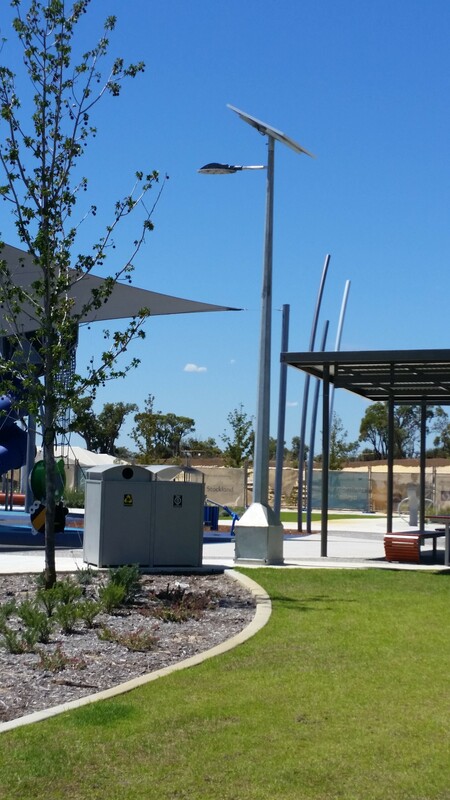 Our solar street light installations cover a variety of uses including lighting for parks, streets, car parks, rural roads and mine sites. 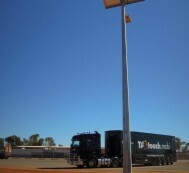 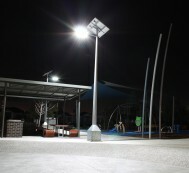 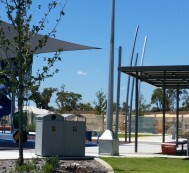 We can custom our system to your requirements by offering a range of poles and battery housing solutions as required. 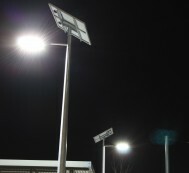  Feel free to talk to us about your requirements because most likely we have a ready made solution for you. Advanced thermo-fluid cooling system without power and fan for high LED light performance and long life operation. 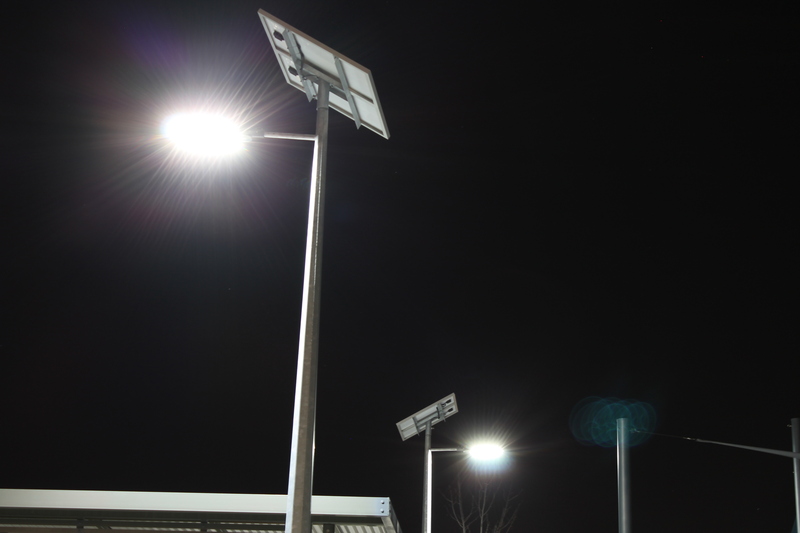 Intensive high power LED array with proprietary optical lens to comply with lighting are and photometric requests.